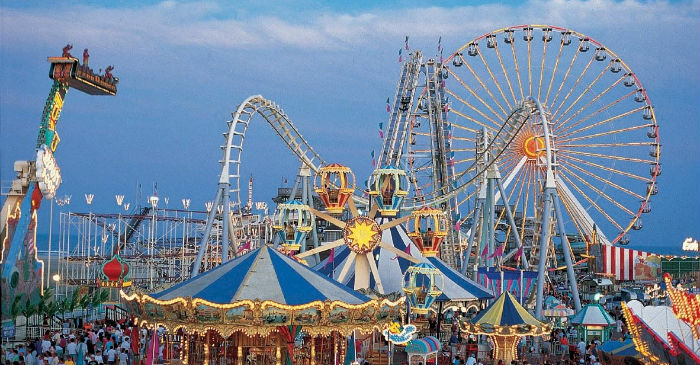 There are some great amusement parks located in Dubai, perfect for families or even for adults. They range from having fun in the water or soaring high above the ground. No matter which park you go to there are bound to be many thrills had. Dubai is becoming a great playground for adventure and thrills in the world. There are laughs in store for all. There are plenty of parks to choose from that appeal to a wide variety of interests. Your dreams can become a reality in any one of these Dubai amusement parks. Here are the five best amusement parks in Dubai, which will make any vacation or weekend lots of fun. This waterpark is located in front of the Burj Al Arab and offers 30 rides and attractions. It is perfect for the whole family. The park is themed around the tale of Juha, which is a character from Arabian folklore. The hours of the park are from 10am to 6pm. This is considered to be the best water park in the Middle East and Europe. They have rides and slides that are record breaking. You can also get up close with sharks and stingrays, as well as being able to kick back and relax on the private beach of the waterpark. There are plenty of thrills and fun, as well as some relaxation to be had at the Aquaventure Waterpark. This has plenty of family entertainment options, along with a great shopping experience at one of the village’s 32 pavilions, each representing a different country. There are plenty of dining options, cruises available and thrills rides at the Fantasy Island. This is Dubai’s first mega theme park. There are plenty of thrill rides and attractions that are based on cartoon characters and superheroes. It is open all year round because it is located in an indoor, temperature controlled environment. There are four zones located in the park. This theme park is open all year round and is great for children from 2-12. There are about 40 rides, shows and attractions. As well as 15,000 LEGO model structures. There are six themed lands that include LEGO City, Adventure, Kingdoms, Imagination, Factory and Miniland. They are each unique and offer an interactive learning experience. The hours of the park are from 1pm to 9pm. There are plenty of options for fun, thrills and relaxation in all the amusement parks in Dubai. They are great for visitors and locals alike and most of the amusement parks are kid friendly. While some of the parks are more pricey than others, you will be able to find the perfect option that your family with enjoy. So take a pick at any one of these parks and you will enjoy your time with friends and family.